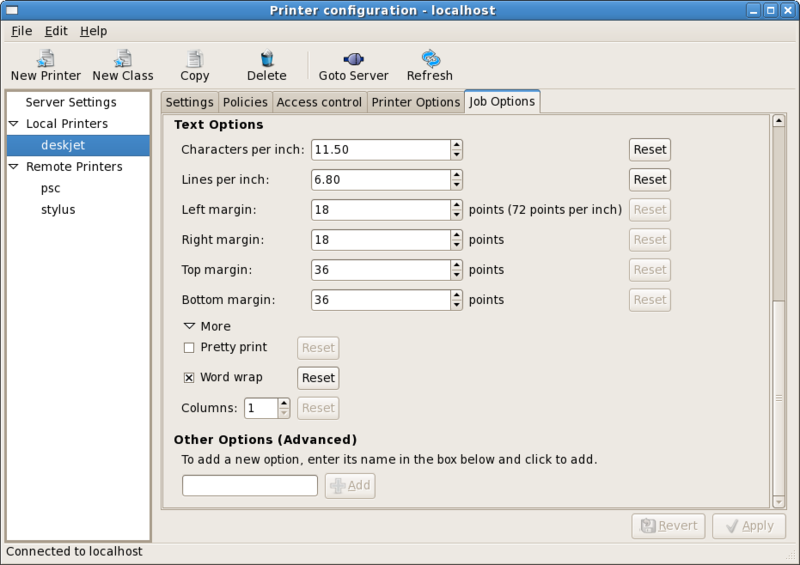 Yesterday I finished making the new job options screen for the printer configuration tool. The options that are known to exist are laid out in groups, with a reset button to get back to the system default for each option. 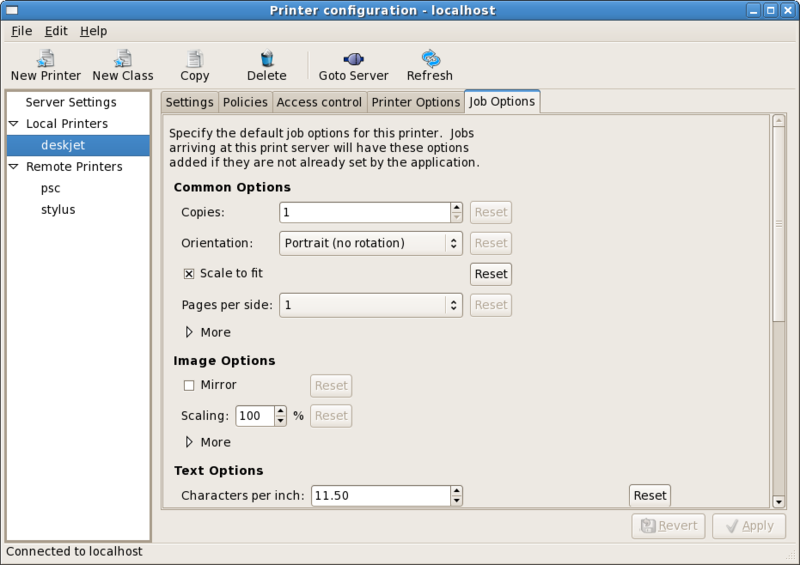 The next step will be to just have the reset buttons for the mandatory system options always clickable, rather than trying to find out which options are set by fetching printers.conf. This entry was posted on Tuesday, February 27th, 2007 at 12:18 pm	and is filed under Software. You can follow any responses to this entry through the RSS 2.0 feed. Responses are currently closed, but you can trackback from your own site.